Son of Shri A. Velu and Smt. 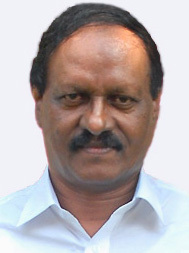 K. Sarada; born at Thiruvananthapuram on 12th May 1950; B.Sc. (Engg. ); Engineer. Room No.626, II Floor, Assembly Building.